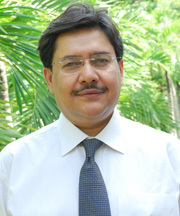 In a 30-year change management and capacity-building career as volunteer, educator and development manager in the public, private and citizen sectors in a number of countries, Dr. Shah has advised government- and UN agencies, worked with major corporations in the China, Germany, the Netherlands and USA, groomed over 3,000 grassroots officials and social entrepreneurs in Cambodia, Nepal, Pakistan and Sri Lanka, overseen over 300 community-level development projects in diverse communities from Himalayan villages to the Thar desert. Between 1995 and 2001 he led Saga, at the time the world’s largest soccer-ball company, in pioneering a widely recognized socially responsible business model. Since 2002, his work has contributed to institution-building and human development initiatives in Afghanistan, Bangladesh, Bhutan, Nepal, Pakistan, Sri Lanka, and Timor Leste. Dr. Shah’s multi-sectoral international experience includes leading the Pakistan-Afghanistan field office team for Save the Children-UK, managing Saga International in Britain and China as COO, heading ADB, CIDA and GTZ technical assistance projects to the Government of Pakistan, and championing innovative corporate social responsibility (CSR) partnerships such as Responsible Business Initiative, Sialkot Partnership Against Child Labour, Fairtrade-Pk, Pakistan Compliance Initiative, and GTZ-AVE National Business Standards Roundtable. Since a permanent faculty position at Allama Iqbal Medical College Punjab University, Dr. Shah has lectured at the Ross Business School University of Michigan, Institute of Administrative Sciences Punjab University, and the Wharton School University of Pennsylvania. His cases form part of the textbook, "Marketing Practices in Developing Economy: Cases from South Asia" (Anwar, Hassan, Dholakia - Prentice-Hall 2009). His most recent publication is "Responsible Business Guide: A Toolkit for Winning Companies" (Shah & Waheed - CIPE-RBI-ACCA 2010).